The General Ledger provides an accounting summary to aid you or your bookkeeper with inputting a journal entry into your accounting software. 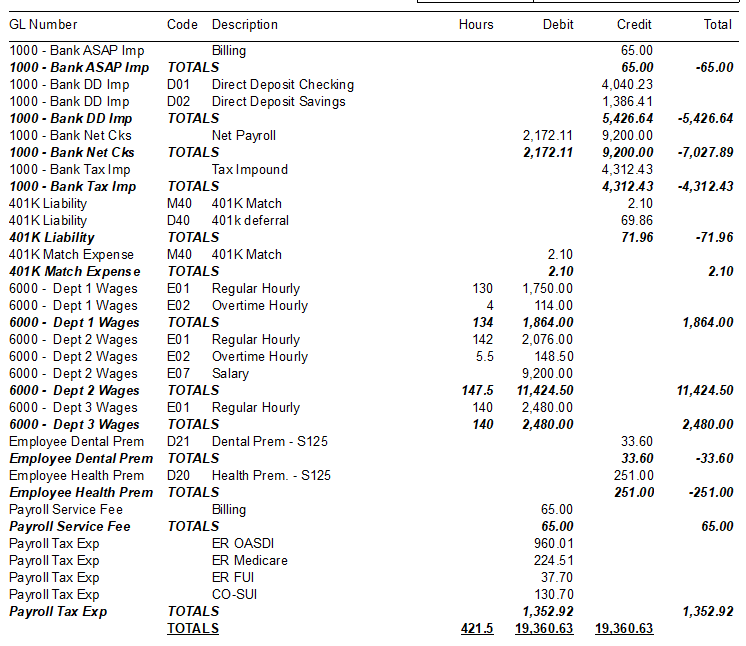 The GL report we provide initially shows the credits/debits with default expense account names. However, we prefer to customize this report to match your specific account codes from your accounting software. To get started please send us a copy of your last payroll journal entry or a full list of your chart of accounts. The GL can be broken down very extensively to provide line item accounts for wages, taxes, specific earnings, specific taxes, other benefits like 401K match, and even WC expenses. This information can be further broken out to a department, team, branch or division level and if required for individual employees. The GL report can be supplied in various formats for electronic import into your accounting software (comma delimited, fixed width, .iif for QuickBooks users). 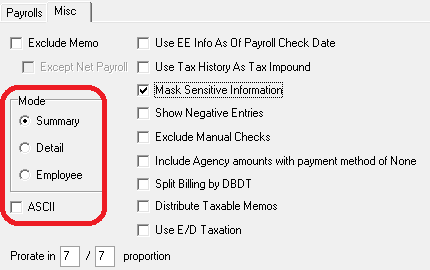 We recommend to any employer that wishes to see their payroll expenses broken out beyond a simple company level to explore with us the use of an electronic file. Please contact your account manager to discuss further. 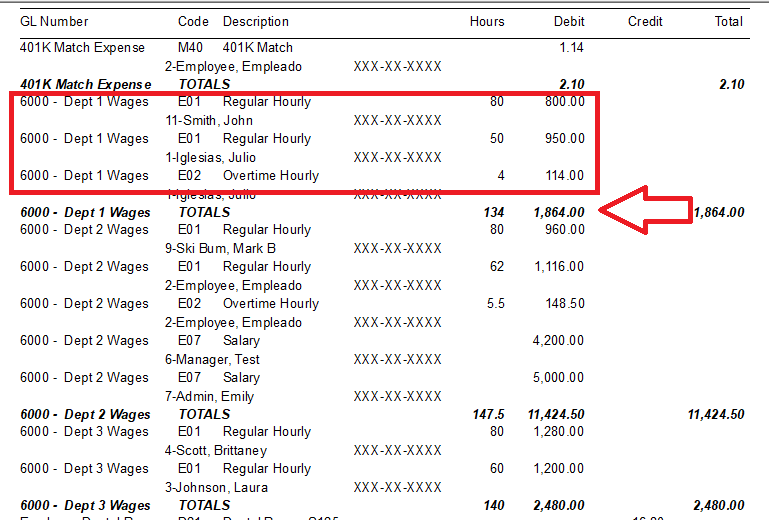 GL Mode/Level: Summary, Detail, or Employee: the standard General Ledger (S183) report normally is run in a summary mode, but for extensive GL's with many employee labor changes you may wish to see the GL data broken down further to understand the wages & dollars making up the figures.